What an introduction I got to the digital publishing world. After launching my very first e-product, I was horrified to find out it had been stolen. What transpired over the next few months was both heartbreaking and educational. I can promise you, it had a lasting impact on how I create and deliver digital products today. The year was 2004 and my first digital product was being sold as a PDF download through Clickbank. I was excited every morning when I opened my email to see the sale notifications come rolling in. Life was good! Until one day when I got a semi-cryptic message from a man who could barely speak English. I’ll call him Fred. He wanted to know if I offered support for my “software.” He had questions and was looking for help. Since I didn’t have any software, I replied asking Fred for more information. As the broken correspondence continued over the course of a couple of days, it became clear to me that a company had stolen my product and included it in their business-in-a-box scam (pre-loaded on a laptop their customers had to buy) that was sold to thousands of people… free. I can’t begin to tell you the nauseated feeling that came over me when I realized this was what Fred was explaining. I literally thought I would be sick. I broke out in a sweat as I sat frozen, reading and re-reading Fred’s last message. As panic gave way to anger, I started frantically looking for ways to get the company to stop using what was mine and to reimburse me for all the copies they’d given away at no charge. That’s when the old saying “an ounce of prevention is worth a pound of cure” slapped me in the back of the head harder than Agent Gibbs ever did to DiNozzo or McGee. The grand total for this fiasco after attorney’s fees, my time, lost sales and filing a report with the U.S. Secret Service (yes, this company was that big and that nasty) was around $64,000. I’m certainly not alone in this saga. 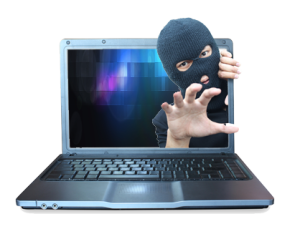 Music artists, movie actors, software companies and anyone else who has ever published an ebook or MP3 is vulnerable to digital content theft. According to the Constitutional Rights Foundation, this is a billion dollar a year problem. If you can put some simple roadblocks in place to seriously hinder or stop this type of behavior before it takes place, you’ll be doing yourself a favor. Especially since many of these preventative measures are cheap or free. First and foremost… stop using unprotected download pages. 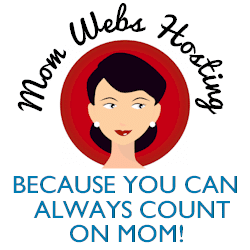 If you host the download links for your paid products on an ordinary web page that is completely unprotected, anybody can find it and share your download links with all their friends. “But people only get to the page after they buy the product.” That may be true (we won’t go into the whole search engine spider thing and the fact that the page probably lives in Google’s data center). But once a customer buys your product and is redirected to MySite.com/download.html (or whatever your link is) they can easily copy the link from their browser window and share it on file-sharing sites or broadcast it to their lists. Then an unlimited number of people will come running to get your stuff for free. Password Protect the Page – Using WordPress or a little bit of special coding for HTML pages can be a first step. Of course, people can always share the password just like they could share the link to your download page. So, you’ll probably want to go a step further. Use an Expiring Link – There are a variety of free browser add-ons, software or programs that allow you to limit the number of downloads for a particular product. This works great for one-time events. But if you’re planning on selling your products over and over, around the clock, you’ll want something more flexible. Use a Shopping Cart with Expiring Links – For as little as $30 (one-time fee) you can purchase shopping cart software that includes the ability to secure downloads with expiring links that are automatically generated for each new purchase. Easy Digital Downloads is one such product. 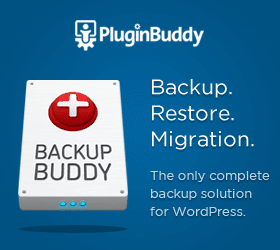 The core WordPress plugin is free. The extension for security is around $30 (one-time fee). There are lots of other options as well. Most digital product pirates are after an easy score. They’ll go after those who leave their products unprotected because they know they can get something for nothing. If you give even a little resistance, they figure you’re not worth the bother and shuffle off to someone else. 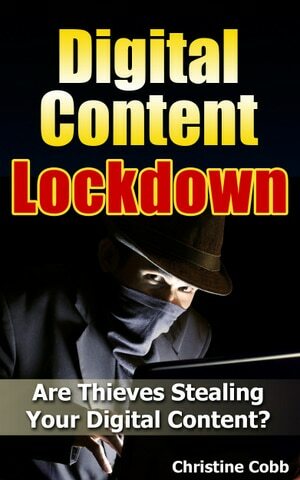 While you’ll never defeat every content thief out there, chances are good that you can stop most of them with a few easy tactics. Where did I learn all this? From Christine Cobb! Everything she taught me about securing digital delivery systems is included in her mini course, Digital Content Lockdown. And she makes it SO easy to understand that even *I* could follow it. Procrastination is your enemy when it comes to content theft. Putting off securing your digital products means leaving yourself open to the same nightmare I faced years ago. And that’s just silly since setting up a protective barrier using the methods in Digital Content Lockdown is so simple and affordable. I can’t wait to see the new video series that is coming soon. Yes! Christine is turning this mini course into a video series. And the best part is that every customer of the mini course is grandfathered in and will have access to the video course at no extra charge. Get it today and save 60% or more on the new enhanced version. Do you have an article about the 2004 story? That’s a great story, I want to know what happened about the thief fred! Is it worth spending 64k dollars to get fred? I’m thrilled about that, seriously, so let me now if you published the story. I think you might have misread some of the info. Fred wasn’t the thief. He was one of the victims that unknowingly tipped me off to what the thieves were doing. And I didn’t spend $64k to get Fred. The scammers stole most of that through my products they gave away for free. After attorney’s fees, my time, lost sales and filing a report with the U.S. Secret Service the total was $64k. Hope that helps clear things up. I’m laughing at myself now. Yeah I miss read the article, I thought fred was the thief. Lolz, I just got excited about the article because I am wanting to have my very own digital product. Thank You.